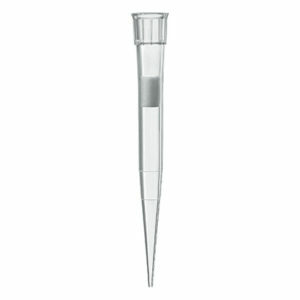 Product and ordering information for Ultra Low Retention Pipette tips. 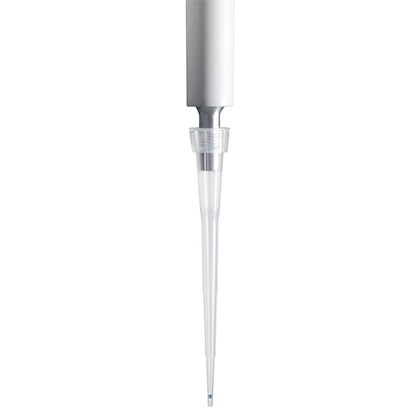 For air displacement pipettes: volumes from 0.1µl to 1000µl; sterile & non-sterile; filter & non-filter; no additives to leach; autoclavable. How are your BRAND® ULR™ tips treated? The surfaces of the BRAND® ULR™R tips are produced through a special, patented physiochemical process. As such, it is covalently bound to the surface of the tip and cannot leach out to contaminate samples. Are the BRAND® ULR™ tips autoclavable? Yes. The tips can be autoclaved at 121°C (2bar) without damaging the material properties. Are your tips "universal" tips? There really isn't such a thing as a "universal" tip. 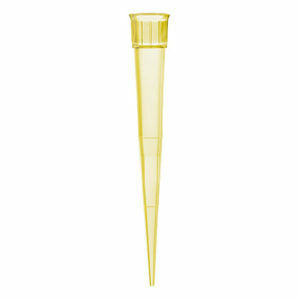 All pipette manufacturers have slightly different dimensions on their tip cones - different diameters, different tapers, etc. However, BRAND tips fit most major brands of pipettes, and are specifically designed to work well with BRAND, most Eppendorf, Gilson, Rainin (excluding LTS), Sartorius/Biohit and Thermo/Finnpipette (excluding Clip-Tip) pipettes. They may fit well with other pipettes with similar designs. Ask for a sample. RNAse-free, DNA-free, ATP-free, Endotoxin-free ... What do all those specifications on tips mean? RNAse is an enzyme found in bacteria. It is used by the bacteria to break down foreign nucleic acids that might enter the bacteria, analogous to the way our immune system gets rid of bacteria. Likewise, presence of Adenosine Triphosphate (ATP), the energy currency of cells, and Deoxyribonucleic acid (DNA), indicate the presence of bacteria or other living things during the tip manufacturing process. 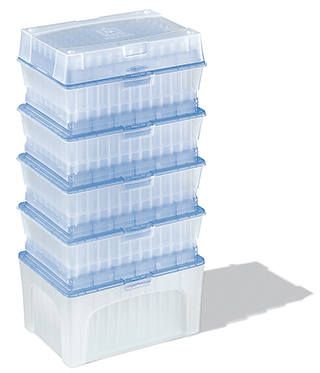 Killing these bacteria by autoclaving will not remove or inactivate these biological products. If they are present, they can interfere with molecular work, such as PCR. Assays to directly determine the presence of DNA, RNAse or ATP are very difficult and expensive to do. Our BIO-CERT® tips are assayed for these molecules, and are certified free of these substances within tight limits. Many more routine sterile applications, such as cell culture, do not require the absence of DNA, RNase or ATP, however they can require the tips to be endotoxin-free. Endotoxin is also a substance found on the surface of bacteria. It is very easy to detect via a extremely sensitive process called the Limulus Amebocyte Lysate Assay BRAND's sterile tips are tested this way regularly, and are found to be under 0.06 I.E./mL, which is the limit of detection. This indicates that the tips are free of bacteria, which infers that they are free of RNAse and DNAse. Because our PD-Tip™ syringe tips have a large amount of plastic in each tip, it is very difficult to be able to certify each lot of tips to be free of all of these chemicals. 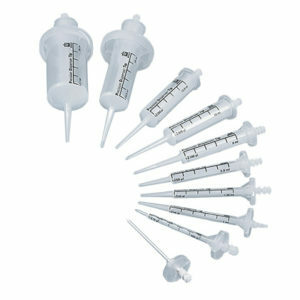 BIO-CERT® PD-Tip™ syringe tips are available for an additional fee. Are BRAND tips free of oleamide and DiHEMDA? Yes. BRAND exclusively uses raw materials that are free from di(2-hydroxyethyl) methyldodecylammonium (DIHEMDA) and 9-octadecenamide (oleamide) - additives that are often found in raw polypropylene. These additives can interfere with biological tests, leading to inaccurate results. Also, only highly polished molds are used, so no parting agents or demolding aids are needed. Sometimes you will refer to "yellow" tips and "blue" tips in quotes. Why is that? 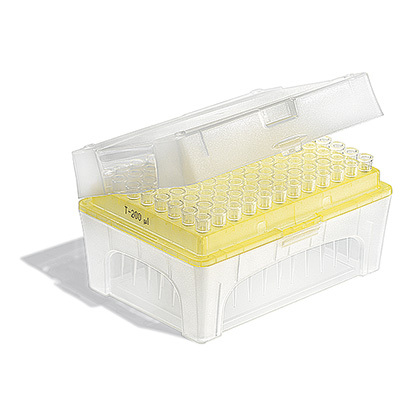 Originally, all 200µL pipette tips were colored yellow, and all 1,000µL tips were colored blue. People would refer to them by their colors, as it was easier than specifying the size. Later it was determined that some of the dyes used to color the tips could interfere with their work. So colorless versions were developed of the tips, but often they were still called "yellow" or "blue" even though the tips were no longer colored. BRAND tips, when purchased bulk are colored for easier identification, but are free of cadmium dyes, which was the most problematic. BRAND tips, when purchased in racks are colorless to ensure no problems. The plates on which the tips are inserted are colored yellow, blue, dark gray or green for easy identification. The dark gray carrier plates indicate our special nano-cap™ ultramicro tips, and green indicates our 300µL tips. 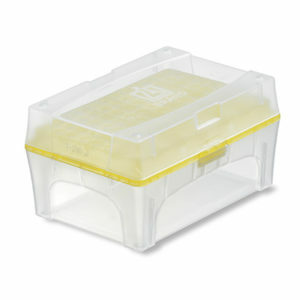 Boxes of ultramicro tips have colorless carrier plates. What is a "lambda" as a unit of volume measurement? A "lambda" (λ) is sometimes used as a shorthand for a microliter (µL). They are the same thing: 1,000µL = 1,000 λ = 1mL.